Did the Bureau of Customs Delay Phantom Pain Philippine Release? 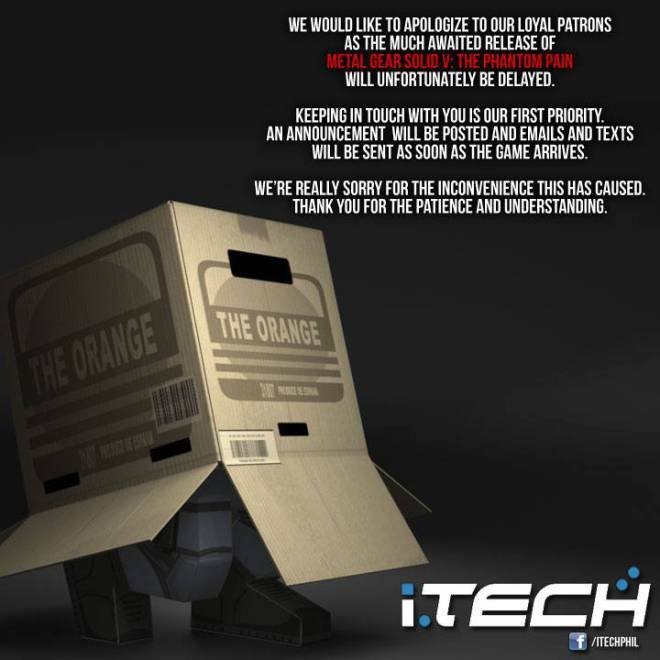 Customs Delayed ‘Phantom Pain’ Philippine Release? 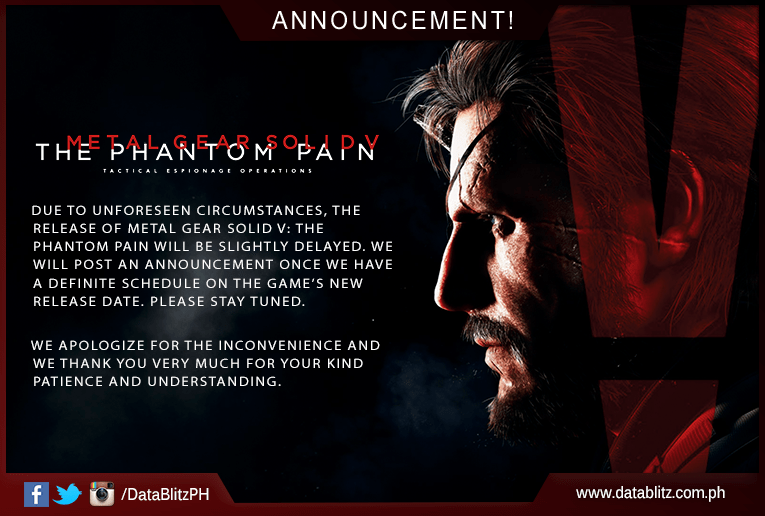 It seems like there’s more to the delays of Metal Gear Solid V: The Phantom Pain release, at least here in the Philippines. Besides the Metal Gear Solid V: The Phantom Pain, two other video game titles have delayed Philippine releases: One Piece: Pirate Warriors 3, and Mad Max. What’s a Geek tried to get in contact with the Bureau of Customs but they have so far been unreachable.